We offer a range of operating room accessories including skin markers, tip cleaning accessories, labels, theatre light covers, anti-fog solution and more. ArcRoyal skin markers are designed to allow surgeons to create smooth, clear markings on patient’s skin. ArcRoyal operating room products includes light handle covers, skin markers, tip cleaners and needle counters. We offer a range of sharps safety products for surgical and operating room. Our range includes needle counters, magnetic instrument mats, sharps disposal systems and scalpel holders. The Devon™ Disposable Light Handle System provides an effective way to reduce costs and standardise overhead, surgical lights, offering a complete solution to your specific surgical lighting needs. Devon™ Surgical Markers are top quality, sterile and single-use products. They are designed to meet the needs of plastic, orthopaedic, neurological and cardiovascular surgeons. The Devon Cautery Tipolisher and Micro Tip Wipe are designed to be used safety and effectively in operating rooms. 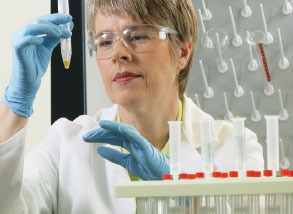 Thermo Fisher Scientific offers a wide range of labels for all applications. Labels can also be custom made to your requirements. The ArcSafe Magnetic Instrument Pad encourages safe sharps' passing practices, which will reduce accidental sharps injuries.